Here are five incredible bird sightings from last month as suggested by Mass Audubon’s experts. The largest loon species in the world, this bird breeds on the high Arctic tundra, farther north than our familiar common loon. Scientists still have much to learn about its habits. Outside of certain Arctic and west coast locations, it’s only rarely observed, and sightings from the east coast are almost unheard-of. 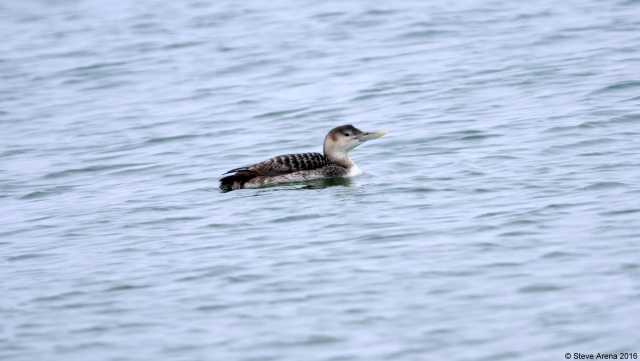 In fact, it had never before been recorded in Massachusetts—until this February and March, when a yellow-billed loon was found bobbing in the waves off of Provincetown. One of our most vividly colored bird species is the scarlet tanager; breeding males are cherry-red and black, and females are greenish-yellow. In the west, the scarlet tanager is replaced by the western tanager. Male western tanagers are yellow and black and only have red pigment on their heads; uniquely, this red pigment comes directly from the insects in their diet. 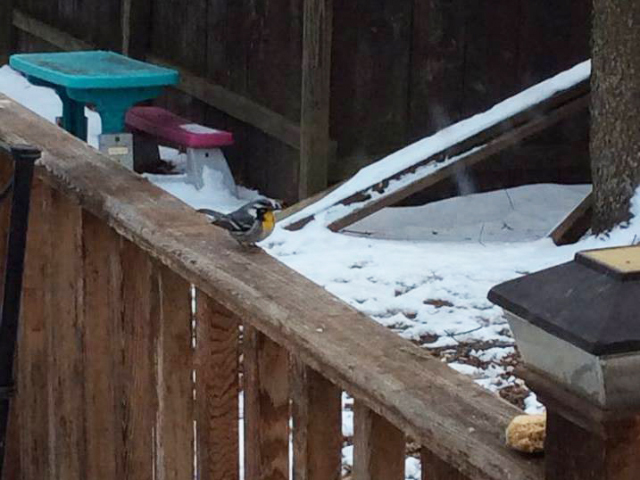 In January and February a western tanager visited a private feeder in Rowley. This strikingly patterned bird is a common warbler in the southeastern US. It typically builds its nest in Spanish moss that hangs from tree branches in the open southern woodlands where it lives. The yellow-throated warbler normally winters along the Gulf coast and in Central America and the Caribbean islands—but one was spotted in Amesbury. 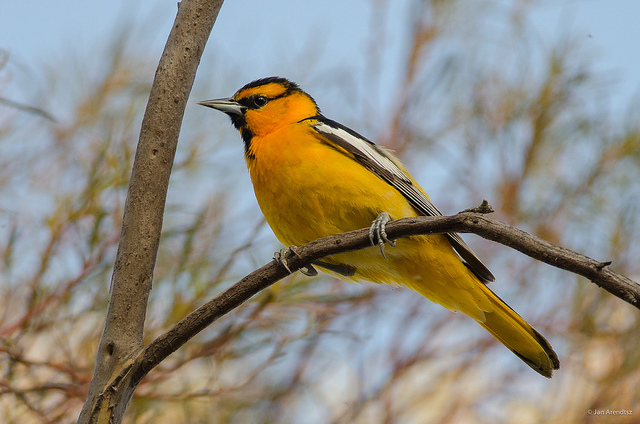 This species is similar to the familiar Baltimore oriole, except that the male Bullock’s oriole has a mostly orange face with a striking black eye stripe and a white wing patch. It’s a bird of the western US, but it occasionally interbreeds with the Baltimore oriole on the Great Plains where their ranges overlap. At one time the two species were lumped into one—the northern oriole—before scientists determined that they were genetically distinct. 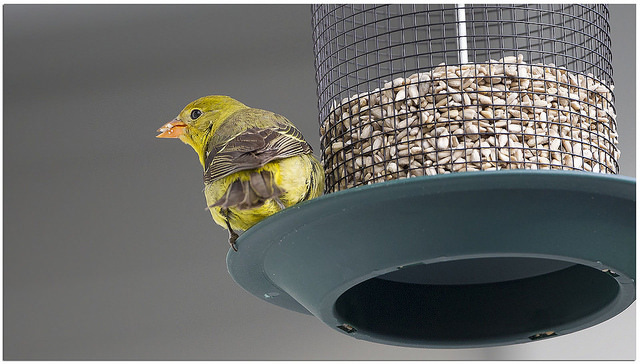 A Bullock’s oriole visited a bird feeder at a private residence in Newburyport. Now and then a bird appears that confounds the experts. Among the gulls standing on the ice last month at Turners Falls, one individual really stood out: a herring gull-sized bird with yellow legs. Experts proposed two possible identities. It could have been a yellow-legged gull (Larus michahellis), a European species that breeds in the Mediterranean and the Azores. If so, the bird had wandered way out of range! 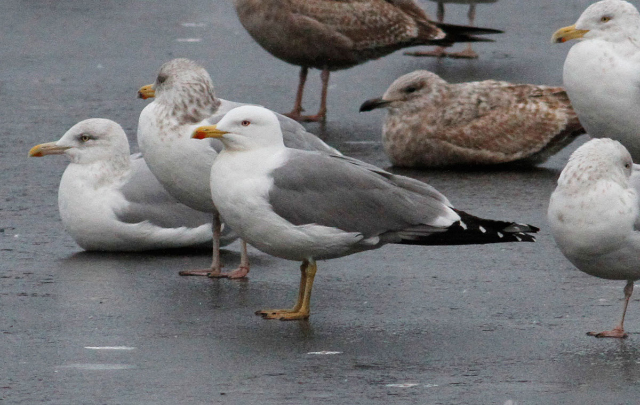 The other option was that it was a hybrid—a mix of two species, in this case possibly herring and a lesser black-backed gulls. Either way, it was an unusual sighting and brought some much-needed excitement to sleepy February. This entry was posted in Nature Notes and tagged bird sightings, last month in birding on March 8, 2016 by Rosemary.